Love Inspired Historical, 9780373425501, 288pp. 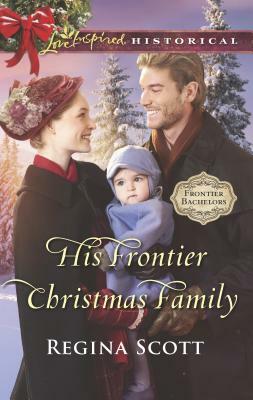 A Family Made at Christmas After taking guardianship of his late friend's siblings and baby daughter, minister Levi Wallin hopes to atone for his troubled past on the gold fields. But it won't be easy to convince the children's wary elder sister to trust him. The more he learns about her, though, the more he believes Callie Murphy's prickly manner masks a vulnerable heart...one he's starting to wish he was worthy of. Every man in Callie's life chose chasing gold over responsibilities. Levi--and the large, loving Wallin family--might just be different. But she can tell he's hiding something from her, and she refuses to risk her heart with secrets between them. Even as they grow closer, will their pasts keep them from claiming this unexpected new beginning?